The Palm Restaurant is one of those famous NYC restaurants you know you have to check out, not just for the food, but for the history. On a Friday night I headed to the flagship location on Second Avenue. Still in its original 1926 location, The Palm provides a dining experience you won’t soon forget. For over 80 years, loyal regulars, tourists and New York City residents have come to The Palm. From the east coast to the west coast, this renowned empire has amassed over 25 restaurants, famed for their prime steaks and outsized lobsters. Like a traditional steakhouse, The Palm has dark wood decor. What separates it from other modern NYC steakhouses is the vast history on the walls. 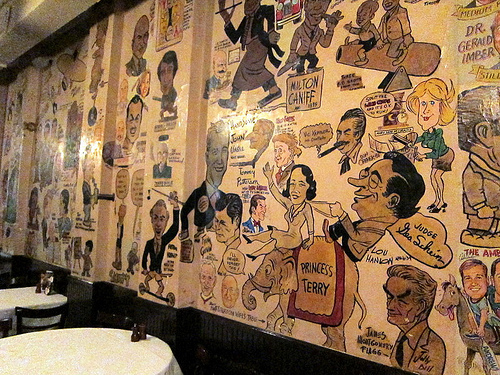 The walls of The Palm are covered with such vivid, colorful histories of past celebrities and guests. It was an experience in itself to try to view all the caricatures. The original location was close to the headquarters of King Features Syndicate and originally attracted a large clientele of cartoonists. In exchange for their meals, artists would often draw their own creations on the walls of The Palm. Famous faces such as the characters of “The Family Circus”, to Popeye to Batman decorate the walls of the upper dining room. 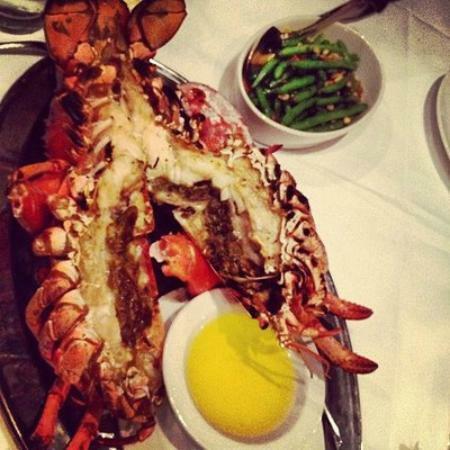 We started the night with glasses of white wine and ordered the Lobster. The staff were friendly and helpful. They spoke well of the menu and gave recommendations on cocktails and wines. If you’re more of a cocktail fan, I recommend the Parma Lady cocktail with seafood. Mixed with Hendrick’s Gin, Solerno Blood Orange Liqueur, fresh raspberries and hand-squeezed lemon juice, it was refreshing and perfect for a humid summer night. It paired nicely with the Nova Scotia Lobster, which was cooked perfectly. With two starters and two individual sides, we had plenty of food. I highly recommend the Ceasar salad as one of the starters! We ended the night splitting the Creme Brulee, which I recommend, as it was a bigger portion, and we were stuffed from the dinner. The best part of The Palm restaurant experience was people watching. From guests celebrating birthdays and anniversaries, to regulars coming in and talking to the staff, a sense of hospitality and friendliness is apparent. Pio Bozzi and John Ganzi first opened The Palm with a simple mission: “Treat guests like family, serve great food, and always exceed expectations.” They will be pleased to know it’s the same today as it was back then. 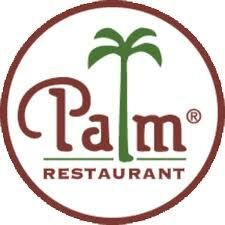 For other The Palm locations please click here. ← The Man Who Fell To Earth.